During a special meeting held on Wednesday by Venezuela’s National Assembly to celebrate the 206th anniversary of the country’s declaration of independence, groups of government paramilitaries, known as colectivos, armed with sticks and pipes, some brandishing knives and firearms, broke into the grounds of the legislature and violently attacked lawmakers and staff. Workers, journalists and deputies were practically kidnapped by the paramilitary groups associated with the regime. 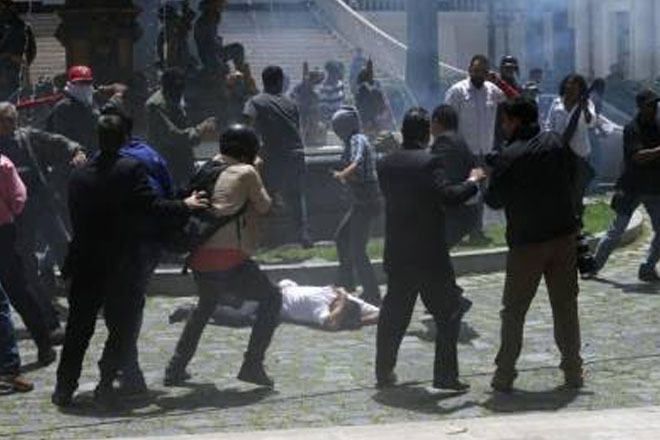 Several members of the National Assembly were injured, some suffering deep lacerations to the head and face.